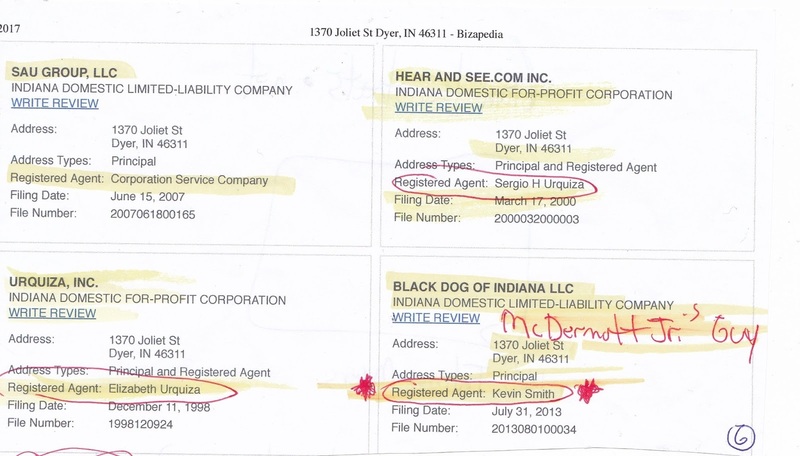 It must have been like a month and a half ago that a source alleged that the “3 Letter Boyz” were at Meyer’s Castle picking up documents and records, etc., etc. Street took it under advisement until Street got a call from another source “better than a government check” that is singing the same song about the 3 Letter Boyz paying Meyer’s Castle a visit. This was a “Big 10-4” for me and left confident to put this stuff on the blog. 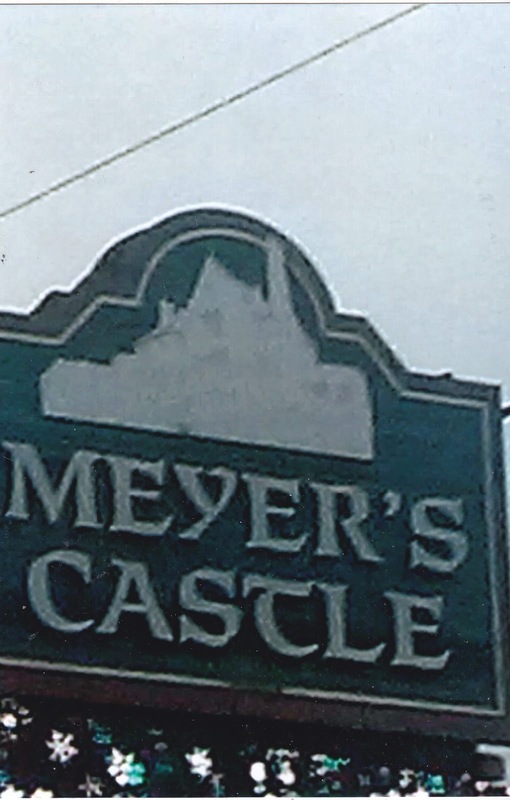 Mayer’s Castle operated a restaurant at Lost Marsh Golf Club that came and went. There is a story out there that a 3 Letter Boy made a remark during an interview with two “concerned community cats” who Street just happened to know. These two hung their hats on what this federal agent allegedly said as followed: “How do you go from the catering business to the demolition business?” Agent allegedly made a reference to Meyer’s Castle, and they took it to read that the 3 Letter Boyz looking @ Meyer’s Castle and his connection to Mayor McDermott, Jr. We’re talking demolition business. 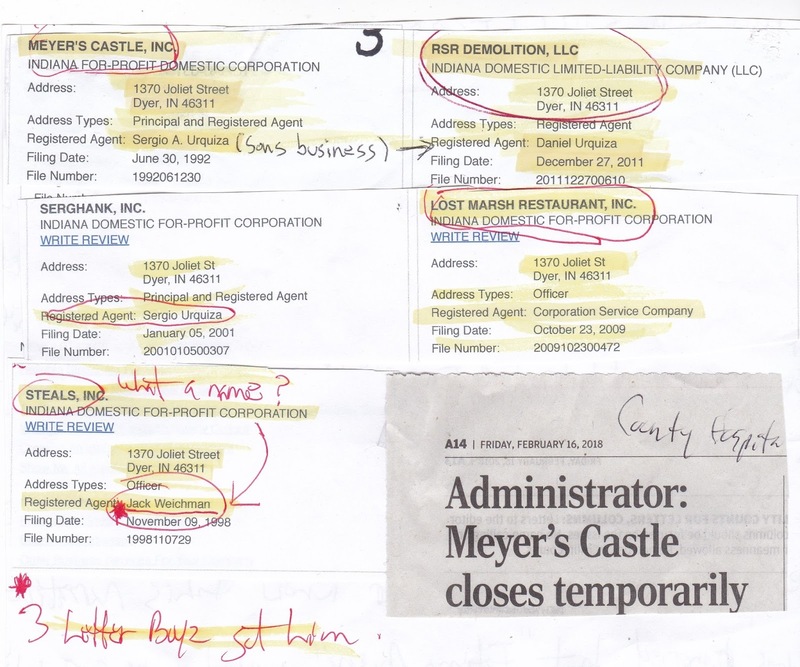 Note that the son does operate a DSR Demolition Company. And then Street just thinks. Maybe, the 3 Letter Boyz used it a rhetorical manner, and that’s all. Or he was asking a question and wanting to know. How do you go from catering to demolition? 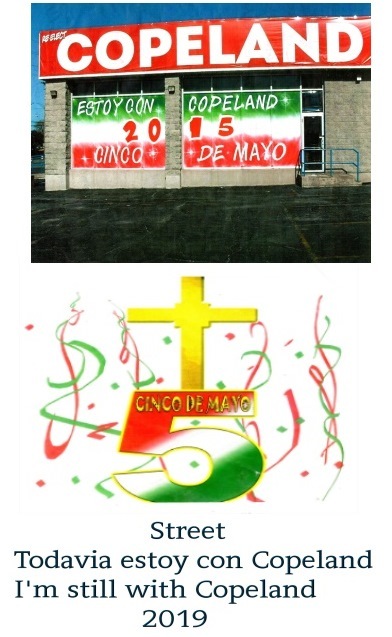 Remember that they were knocking down a house on “Ash” right off Chicago Avenue in Hammond. When Street gets a call about a 18-wheeler with dumpster that was hauling off the demolition debris, it suddenly flipped over up on its bell… This is why the source had called me to come out and have a look. One of my source took a cheap shot at DSR Demolition. “They don’t know that they’re doing, Street. It’s just they’re connected with Mayor McDermott, Jr.,” This guy made his point and obvious not a fan of McDermott, Jr.
You read in the newspaper just like I did and had seen that Meyer’s Castle is temporarily closed by Lake County Health Department on 2.16.18. Inspector found a mouse in a hand washing sink This is what The Times reported. P.S. : WJOB caller asked Kevin Smith, McDermott, Jr.’s mouthpiece who runs interference for McDermott, Jr. The question got aim at Kevin Smith. Caller wanted to ask him about some of the business that he owned. “That’s personal business,” Kevin Smith tells the caller (kind of salty) When you run interference for Mayor McDermott, Jr.’s radio show, you become a public figure.